Find everything you need for a regulatory field of Horse-Ball... here ! The Horse-Ball Filed has been designed to ensure the safety of horses and riders. 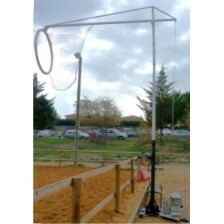 It was built to match safety requirements of International Federation of Horse-Ball (FIHB). These products are made from Sport Loisir Création Srl a French company undisputed leader in this field. HorseBallShop.com has the exclusivity of the resale of this material online. 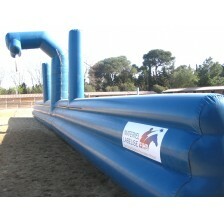 The products are made in a particular PVC, which ensures maximum safety both for horses and players. It is 'resistant horses' hooves and easy to assemble and disassemble. It is particularly suitable in case of exhibition or event where pitch is not equipped for Horse-Ball. 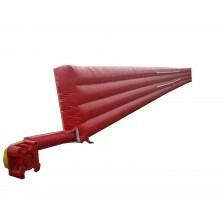 The model that includes inflatable gaol is recommended only in a covered place. 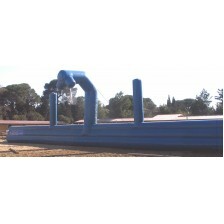 Inflatable structures allow to give a high visbility to partners and sponsors and can be made in different colors. PVC used is indestructible and made with your specific requirements including the personnlisation you require. Delivery times are generally 3 months. Electric fans of 1.1 kw for the Horse-Ball regulatory field Inflatable. For both the short side of t..
Two modules of 25m x 1.70 x 1.3. Delivered in two parts with two fans of 1.1 kW. Delivery time from ..
Two modules of 25mt x 1.70 x 1.3. Delivered in two parts of 12.5 meters each, with two fan of 1.1 kW..
Horse-Ball removable goals which fits in a car, adjustable in height for the pony category. 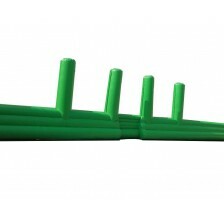 It ..
Inflatables tubes for long sides of an Horse-Ball arena. Two modules of 75mt x 0.3. 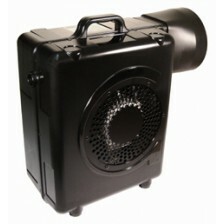 Delivered in two or four parts with two fans of 1.1 kW. 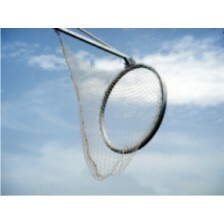 Delivery time max..
White mesh for Horse-Ball goal. Sold individually. High quality product made ? ?of nylon and manuf..